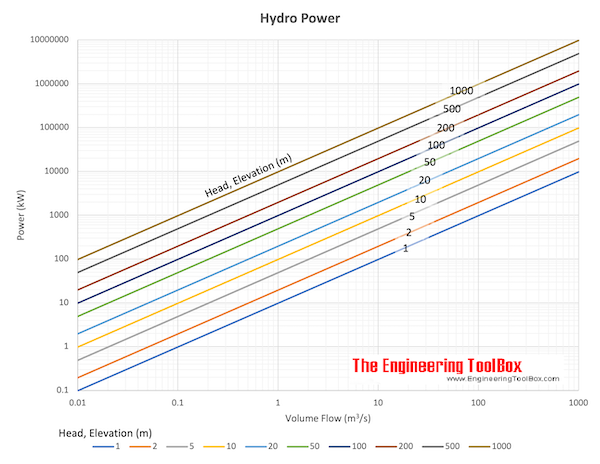 The calculator below can be used to calculate available hydroelectricity power. Copy the document to your Google Drive or download it as a spreadsheet to make your own calculations. Engineering ToolBox, (2008). Hydropower. 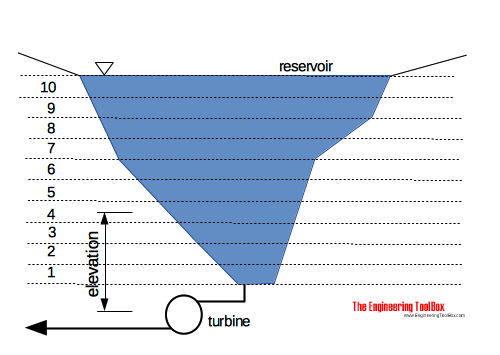 [online] Available at: https://www.engineeringtoolbox.com/hydropower-d_1359.html [Accessed Day Mo. Year].